Since it's Black Friday, I figured it was a good day to start talking Christmas gifts! 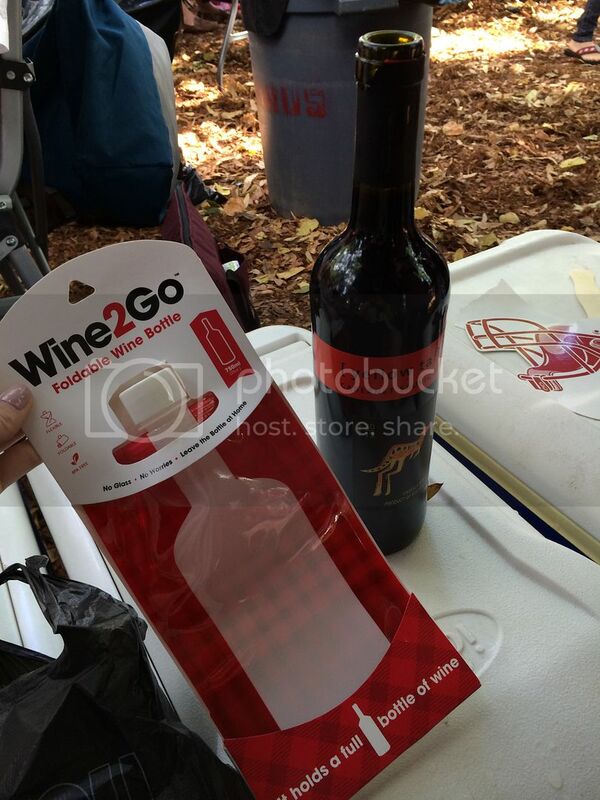 This summer I was approached by Wine 2 Go to try out their super cool plastic wine flask. The only problem was, by they time it arrived, I had found out I was pregnant, so no wine for me!! They were super sweet and agreed to let me wait until football season so I could get a friend to use it during tailgating since I wouldn't be using it myself for a good while. My sister came down for the Bama v. Texas A&M game and she put that bad boy to work!! That's right, she poured that whole bottle of wine into the Wine 2 Go! The Wine 2 Go is a plastic flask that fits an entire bottle of wine---AN ENTIRE BOTTLE OF WINE I said!! It's so perfect because it is light weight and you don't have to worry about breaking it. You know those signs at the pool that say no glass bottles? Enter the Wine 2 Go. It also makes it really easy to chill wine in a cooler AND the lid is super secure so you don't have to worry about spills. My sister said they absolutely loved using it on the Quad in Tuscaloosa because it was light weight and they didn't have to worry that they might accidentally spill it. She liked it so much she is purchasing them for all of her girlfriends for Christmas, and I'm thinking along those same lines myself!! It is really the perfect present for those wine loving friends of yours--plus, it only costs $12.99 plus shipping. It's really the gift that keeps on giving, glass after glass! The sweet people of Wine 2 Go also make Flask 2 Go for any other drink carrying needs you may have! Thank you SO much to Addie and the whole Wine 2 Go gang for hanging in there with me while I waited pretty much 24 weeks (aka my entire pregnancy thus far) to get their product used and reviewed. Please check them out!!! You won't be sorry--and you'll never haul around a wine bottle again!